Free games: Win a Steam key for award-winning steampunk adventure 80 Days! Wouldn’t it be great to go on an adventure around the world? You could surf across desert sands, wade through green swamps, meet fellow travellers and trade tales of danger and bravery. That’s what the people of the Victorian era dreamed about, at least. But that was over a hundred years ago now. We can just play videogames to visit other countries these days. right? 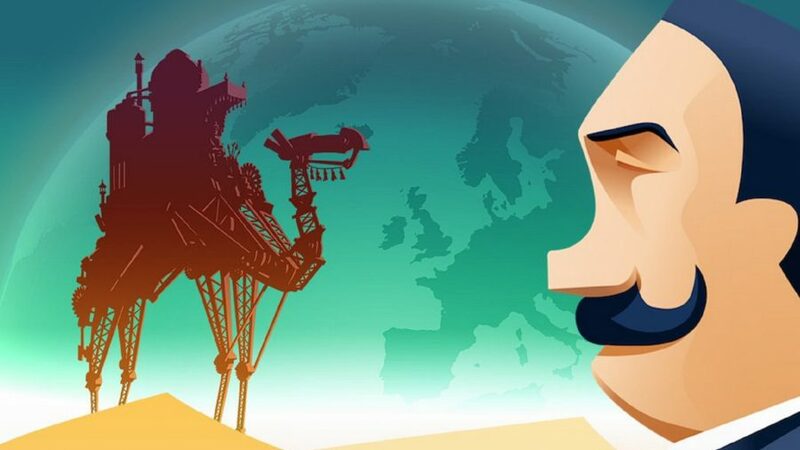 Enter 80 Days, an award-winning game about globetrotting during the 19th century – we have ten Steam keys for it to give away. The idea in the game is to circumnavigate the world in 80 days – or faster – racing other players along the way, but make sure to take in the sights, too. You play as Passepartout, the loyal valet of Phileas Fogg, making sure that he wins the race around the world by any means necessary. You do that by balancing your master’s health, finances, and time, picking between 170 cities and various forms of transport to find the fastest route. What makes 80 Days especially worth exploring is its steampunk setting, meaning you can travel by airship, submarine, mechanical camel, steam-train, and many more. Just don’t go bankrupt and don’t take too much heavy luggage – it only slows you down. While you’re here, let us also tell you about the next game from Inkle – it’s called Heaven’s Vault. You can watch a brand new trailer for it below. It’s a narrative-based archaeological adventure in which you explore a strange region of space called the Nebula. You even get a robot sidekick. The idea is to piece together the secrets of a forgotten history of a world and its alien language. Right then, back to 80 Days – ready to enter the giveaway? All you have to do is use the widget below. Every action you complete is worth one entry into the giveaway, with the more actions you complete increasing your chances of winning. We’ll also need your email address so we can send you a code upon winning – we won’t send you spam, we promise. Please read our terms and conditions before you enter. While you’re here, give us a Like over on the PCGamesN Facebook page, or follow us on Twitter, and we’ll keep you up to date on all our future giveaways.